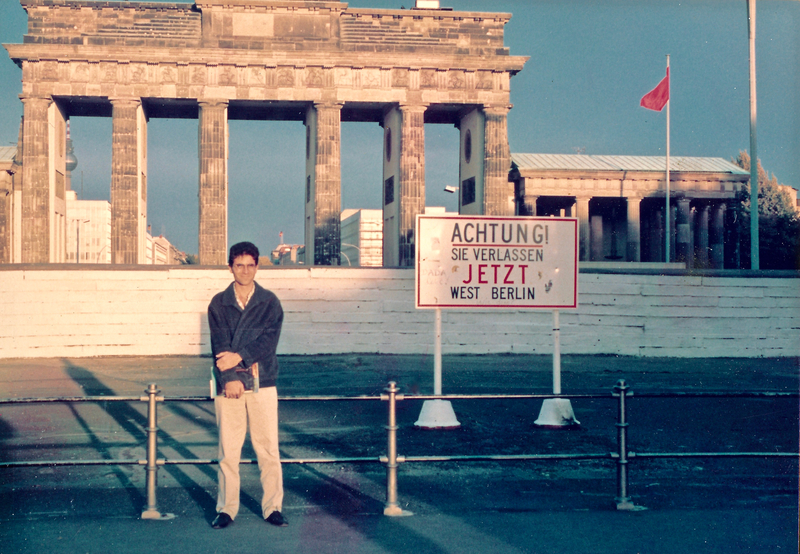 Brandenburg Gate, West Berlin, Germany (October 1987) – thanks to Fanny Acosta for the photo! Berlin citizens atop the Berlin Wall, Brandenburg Gate, November 10, 1989. Photo credit: The Atlantic. With friendly company in West Berlin, West Germany (October 1987). Thanks Fanny Acosta for the nice shot!